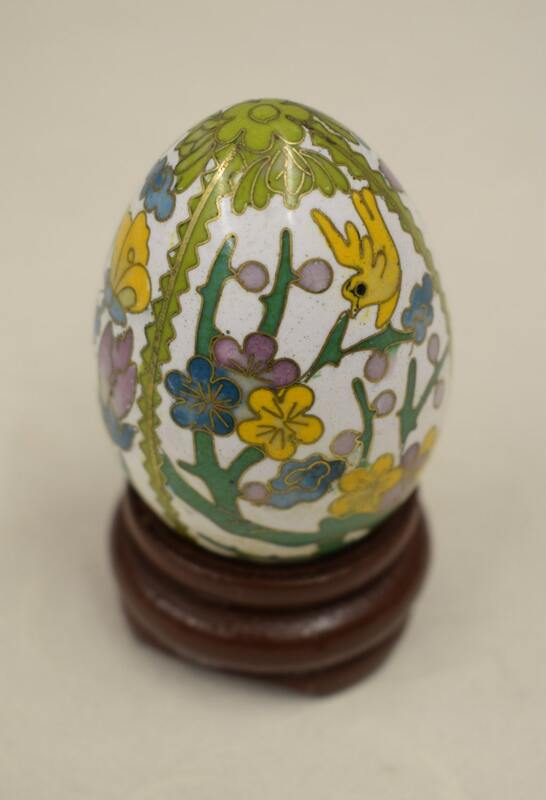 This is a lovely Enameled Yellow Green Pink Flowers, Birds and Vine Egg on a Teak Wood Stand that comes from China. The artistic feature is all of its style, pattern, color and brightness are very wonderful. Their designs are often elegant, and the patterns are very rich in color. Taking the traditional artistic skills of needlework, jade, china and lacquer work, it gives prominence to the pattern style of sketching lines and designs colors. 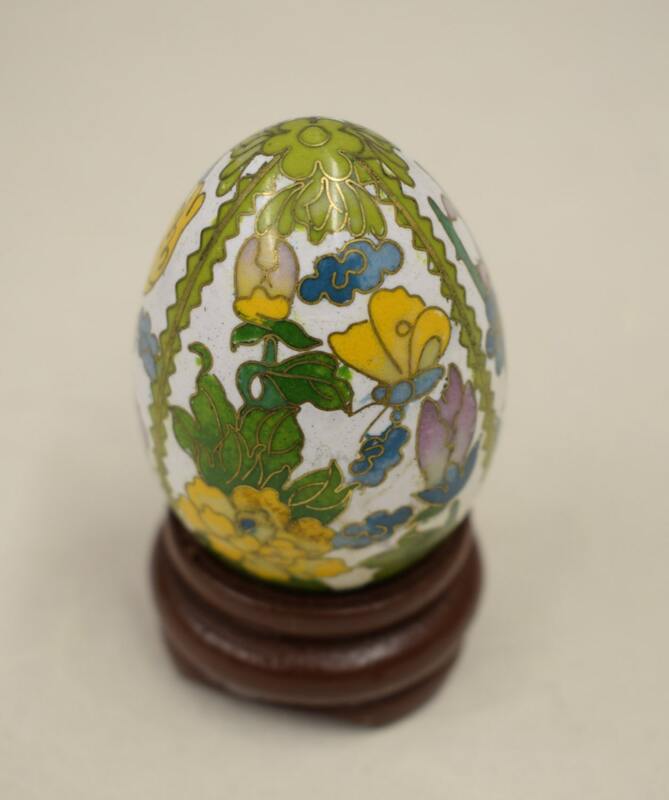 Enameling and Cloisonne' are one in the same today buy the fusing of glass to metal under very high heat. 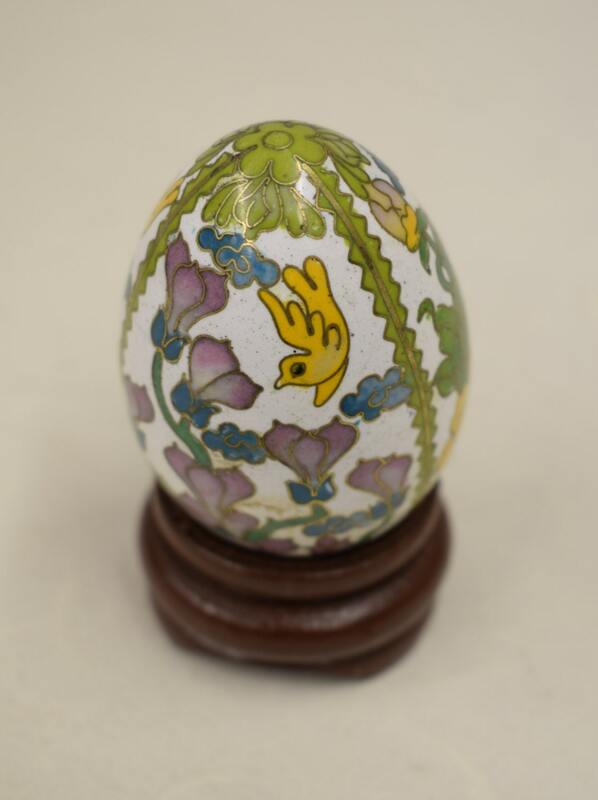 This Enamel Egg on the teak wood stand would be a lovely item to display in your home, office, and to give as a lovely gift as well.